Carmen Ejogo grew up in London. Ejogo's television career began in the UK in the early 1990s, where she presented the children's series Saturday Disney. Subsequently, she has had an acting career in the US. 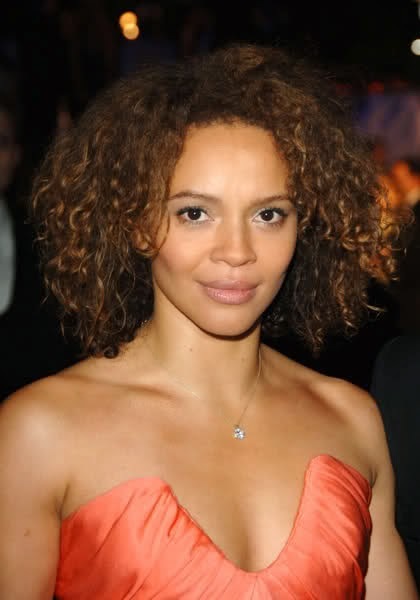 She has appeared in Metro with Eddie Murphy, What's the Worst That Could Happen with Martin Lawrence, and Love's Labour's Lost with Kenneth Branagh, among other films, and also presented The Carmen Ejogo Video Show - her own video show on BSB's Power Station channel. She starred as Thomas Jefferson's slave concubine in the television drama Sally Hemmings: An American Scandal as Sally Hemmings and also as Sister Anderson in the remake version of the cult classic original film Sparkle. Ejogo is also a vocalist, having collaborated with several artists in the 1990s. She wrote and sang lead vocals on the song "Candles" by English drum 'n' bass DJ Alex Reece - she appeared in the music video and is listed in the production credits as 'Carmen'. She also sang vocals and duets with British artist Tricky on a song called "Slowly". Aside from "Candles", Ejogo appears on four songs of the Sparkle original soundtrack album from the movie of the same name, singing lead on "Yes I Do" (as a solo), and co-lead vocals with Jordin Sparks and Tika Sumpter on "Jump", "Hooked On Your Love" and "Something He Can Feel".